February is the month to raise awareness about the significance of your oral health. With National Children’s Dental Health month beginning in Cleveland in 1941 and extending to a month-long program since 1981, it is especially important to take care of your child’s oral health. The dental team at Aark Dental at Coquitlam Centre support National Children’s Dental Health Month and encourage you to follow up with regular checkups and proper oral care. In February, Aark Dental at Coquitlam Centre and other dentists around the world are concerned with preventative oral care, especially when it comes to children. 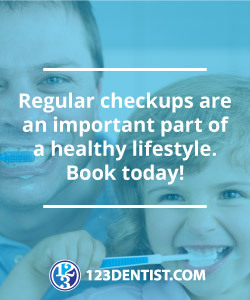 It is important to remember that having good oral health habits when you’re young and having periodic dental appointments will get your children on the right track to keep those teeth and gums healthy. If your child hasn’t been to Aark Dental at Coquitlam Centre in the last six months, be sure to contact us and make an appointment.